The International Property Measurement Standards Coalition (IPMSC) invites comments and feedback on a draft of the standards for offices. 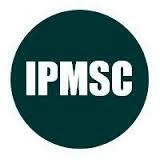 The International Property Measurement Standard Committee (IPMSC) is a platform of over 30 international organizations with the aim to setting measurement standards and enable properties to be measured on a transparent basis, so promoting market efficiency through greater confidence between investors, occupiers and funds. CEPI joined the Coalition and the Board of Trustees at the end of 2013. Responses to the Consultation Document, especially from parties actively involved in cross-border transactions, will be very helpful in finalising the Standard. The International Property Measurement Standards Coalition (IPMSC) was formed on 30 May 2013 after meeting at the World Bank in Washington DC. The Coalition, comprising over 30 organisations, aims to bring about the harmonisation of national property measurement standards through the creation and adoption of agreed international standards for the measurement of office, residential, industrial and retail property. This Consultation Document for the measurement of offices is the first prepared by the Coalition's Standards Setting Committee. The aim of the Coalition is to enable properties to be measured on a transparent basis that promotes market efficiency through greater confidence between investors, occupiers and funds. The growth of cross‐border property investment and expansion by global corporate occupiers underpins the demand for transparency against the background of many differing national and local measurement conventions. IPMS have been developed to work with associated financial reporting and valuation standards such as International Financial Reporting Standards (IFRS) and the Uniform Standards of Professional Appraisal Practice (USPAP) in the USA. The International Valuation Standards Council (IVSC) supports IPMS and these Standards should be read in conjunction with International Valuation Standards (IVS). The Standards Setting Committee decided to give priority to setting a measurement standard for offices because investors and major occupiers operate in a high‐value global market that does not have a global language. The CLGE Measurement Code for the floor area of buildings, having been generously donated to the Coalition, provided our starting point. Current terminology used to describe office floor areas – rentable, usable, net internal, net lettable, carpet area – is not only confusing but means different things in different markets. An organisation occupying 10,000 sq m in one country could find the identical space described as 12,000 sq m in another. In the Consultation Document we have avoided using existing descriptions. Instead we have used generic terms by defining floor areas as IPMS Office Area 1, IPMS Office Area 2 and IPMS Office Area 3, the latter being divided into Categories and Sub‐categories. Those enable the adoption of an International Floor Area and conversion between existing standards. The closing date for responses is Friday 4 April 2014. Visit www.ipmsc.org/consultation to read the consultation document and check the response form. Click here to see some picture of the latest meeting in London.